accept-focus bool r/w/en True if the window should receive the input focus. focus-on-map bool r/w/en True if the window should receive the input focus when mapped. skip-pager-hint bool r/w/en True if the window should not be in the pager. skip-taskbar-hint bool r/w/en True if the window should not be in the task bar. type-hint Gdk.WindowTypeHint r/w/en Hint to help the desktop environment understand what kind of window this is and how to treat it. urgency-hint bool r/w/en True if the window should be brought to the user’s attention. activate-default The ::activate-default signal is a keybinding signal which gets emitted when the user activates the default widget of window . activate-focus The ::activate-focus signal is a keybinding signal which gets emitted when the user activates the currently focused widget of window . enable-debugging The ::enable-debugging signal is a keybinding signal which gets emitted when the user enables or disables interactive debugging. keys-changed The ::keys-changed signal gets emitted when the set of accelerators or mnemonics that are associated with window changes. A Gtk.Window is a toplevel window which can contain other widgets. Windows normally have decorations that are under the control of the windowing system and allow the user to manipulate the window (resize it, move it, close it,…). The Gtk.Window implementation of the Gtk.Buildable interface supports a custom <accel-groups> element, which supports any number of <group> elements representing the Gtk.AccelGroup objects you want to add to your window (synonymous with Gtk.Window.add_accel_group(). The Gtk.Window implementation of the Gtk.Buildable interface supports setting a child as the titlebar by specifying “titlebar” as the “type” attribute of a <child> element. Gtk.Window has a main CSS node with name window and style class .background, and a subnode with name decoration. Style classes that are typically used with the main CSS node are .csd (when client-side decorations are in use), .solid-csd (for client-side decorations without invisible borders), .ssd (used by mutter when rendering server-side decorations). Gtk.Window also represents window states with the following style classes on the main node: .tiled, .maximized, .fullscreen. Specialized types of window often add their own discriminating style classes, such as .popup or .tooltip. Gtk.Window adds the .titlebar and .default-decoration style classes to the widget that is added as a titlebar child. Gets the value set by Gtk.Window.set_default_icon_list(). The list is a copy and should be freed with g_list_free(), but the pixbufs in the list have not had their reference count incremented. Returns the fallback icon name for windows that has been set with Gtk.Window.set_default_icon_name(). The returned string is owned by GTK+ and should not be modified. It is only valid until the next call to Gtk.Window.set_default_icon_name(). Creates a new Gtk.Window, which is a toplevel window that can contain other widgets. Nearly always, the type of the window should be Gtk.WindowType.TOPLEVEL. If you’re implementing something like a popup menu from scratch (which is a bad idea, just use Gtk.Menu), you might use Gtk.WindowType.POPUP. Gtk.WindowType.POPUP is not for dialogs, though in some other toolkits dialogs are called “popups”. In GTK+, Gtk.WindowType.POPUP means a pop-up menu or pop-up tooltip. On X11, popup windows are not controlled by the window manager. If you simply want an undecorated window (no window borders), use Gtk.Window.set_decorated(), don’t use Gtk.WindowType.POPUP. All top-level windows created by Gtk.Window.new() are stored in an internal top-level window list. This list can be obtained from Gtk.Window.list_toplevels(). Due to Gtk+ keeping a reference to the window internally, Gtk.Window.new() does not return a reference to the caller. To delete a Gtk.Window, call Gtk.Widget.destroy(). By default, after showing the first Gtk.Window, GTK+ calls Gdk.notify_startup_complete(). Call this function to disable the automatic startup notification. You might do this if your first window is a splash screen, and you want to delay notification until after your real main window has been shown, for example. Sets an icon to be used as fallback for windows that haven’t had Gtk.Window.set_icon() called on them from a pixbuf. Sets an icon to be used as fallback for windows that haven’t had Gtk.Window.set_icon_list() called on them from a file on disk. Warns on failure if err is None. Sets an icon list to be used as fallback for windows that haven’t had Gtk.Window.set_icon_list() called on them to set up a window-specific icon list. This function allows you to set up the icon for all windows in your app at once. See Gtk.Window.set_icon_list() for more details. Sets an icon to be used as fallback for windows that haven’t had Gtk.Window.set_icon_list() called on them from a named themed icon, see Gtk.Window.set_icon_name(). Activates the default widget for the window, unless the current focused widget has been configured to receive the default action (see Gtk.Widget.set_receives_default()), in which case the focused widget is activated. Activates mnemonics and accelerators for this Gtk.Window. This is normally called by the default ::key_press_event handler for toplevel windows, however in some cases it may be useful to call this directly when overriding the standard key handling for a toplevel window. Associate accel_group with self , such that calling Gtk.accel_groups_activate() on self will activate accelerators in accel_group . Asks to deiconify (i.e. unminimize) the specified self . Note that you shouldn’t assume the window is definitely deiconified afterward, because other entities (e.g. the user or window manager)) could iconify it again before your code which assumes deiconification gets to run. You can track iconification via the “window-state-event” signal on Gtk.Widget. Asks to place self in the fullscreen state. Note that you shouldn’t assume the window is definitely full screen afterward, because other entities (e.g. the user or window manager) could unfullscreen it again, and not all window managers honor requests to fullscreen windows. But normally the window will end up fullscreen. Just don’t write code that crashes if not. You can track the fullscreen state via the “window-state-event” signal on Gtk.Widget. Asks to place self in the fullscreen state. Note that you shouldn’t assume the window is definitely full screen afterward. Gets the value set by Gtk.Window.set_accept_focus(). Gets the Gtk.Application associated with the window (if any). the widget where the window is attached, or None if the window is not attached to any widget. Fetches the attach widget for this window. See Gtk.Window.set_attached_to(). Returns whether the window has been set to have decorations such as a title bar via Gtk.Window.set_decorated(). the default widget, or None if there is none. Returns the default widget for self . See Gtk.Window.set_default() for more details. Returns whether the window has been set to have a close button via Gtk.Window.set_deletable(). Returns whether the window will be destroyed with its transient parent. See Gtk.Window.set_destroy_with_parent (). the currently focused widget, or None if there is none. Gets the value set by Gtk.Window.set_focus_on_map(). Gets the value of the Gtk.Window :focus-visible property. Gets the value set by Gtk.Window.set_gravity(). Returns the group for self or the default group, if self is None or if self does not have an explicit window group. Deprecated since version 3.14: Resize grips have been removed. Returns whether the window has requested to have its titlebar hidden when maximized. See Gtk.Window.set_hide_titlebar_when_maximized (). Gets the value set by Gtk.Window.set_icon() (or if you’ve called Gtk.Window.set_icon_list(), gets the first icon in the icon list). Retrieves the list of icons set by Gtk.Window.set_icon_list(). The list is copied, but the reference count on each member won’t be incremented. Returns the name of the themed icon for the window, see Gtk.Window.set_icon_name(). Returns the mnemonic modifier for this window. See Gtk.Window.set_mnemonic_modifier(). Gets the value of the Gtk.Window :mnemonics-visible property. Returns whether the window is modal. See Gtk.Window.set_modal(). Fetches the requested opacity for this window. See Gtk.Window.set_opacity(). Deprecated since version 3.8: Use Gtk.Widget.get_opacity instead. This function returns the position you need to pass to Gtk.Window.move() to keep self in its current position. This means that the meaning of the returned value varies with window gravity. See Gtk.Window.move() for more details. If you haven’t changed the window gravity, its gravity will be Gdk.Gravity.NORTH_WEST. This means that Gtk.Window.get_position() gets the position of the top-left corner of the window manager frame for the window. Gtk.Window.move() sets the position of this same top-left corner. If a window has gravity Gdk.Gravity.STATIC the window manager frame is not relevant, and thus Gtk.Window.get_position() will always produce accurate results. However you can’t use static gravity to do things like place a window in a corner of the screen, because static gravity ignores the window manager decorations. Gets the value set by Gtk.Window.set_resizable(). If a window has a resize grip, this will retrieve the grip position, width and height into the specified Gdk.Rectangle. the role of the window if set, or None. The returned is owned by the widget and must not be modified or freed. Returns the role of the window. See Gtk.Window.set_role() for further explanation. Returns the Gdk.Screen associated with self . Obtains the current size of self . If self is not visible on screen, this function return the size GTK+ will suggest to the window manager for the initial window size (but this is not reliably the same as the size the window manager will actually select). See: Gtk.Window.set_default_size(). This function will return the logical size of the Gtk.Window, excluding the widgets used in client side decorations; there is, however, no guarantee that the result will be completely accurate because client side decoration may include widgets that depend on the user preferences and that may not be visibile at the time you call this function. The dimensions returned by this function are suitable for being stored across sessions; use Gtk.Window.set_default_size() to restore them when before showing the window. Note that, if you connect to the Gtk.Widget ::size-allocate signal, you should not use the dimensions of the #GtkAllocation passed to the signal handler, as the allocation may contain client side decorations added by GTK+, depending on the windowing system in use. If you are getting a window size in order to position the window on the screen, you should, instead, simply set the window’s semantic type with Gtk.Window.set_type_hint(), which allows the window manager to e.g. center dialogs. Also, if you set the transient parent of dialogs with Gtk.Window.set_transient_for() window managers will often center the dialog over its parent window. It’s much preferred to let the window manager handle these cases rather than doing it yourself, because all apps will behave consistently and according to user or system preferences, if the window manager handles it. Also, the window manager can take into account the size of the window decorations and border that it may add, and of which GTK+ has no knowledge. Additionally, positioning windows in global screen coordinates may not be allowed by the windowing system. For more information, see: Gtk.Window.set_position(). Gets the value set by Gtk.Window.set_skip_pager_hint(). the title of the window, or None if none has been set explicitly. The returned string is owned by the widget and must not be modified or freed. Retrieves the title of the window. See Gtk.Window.set_title(). Returns the custom titlebar that has been set with Gtk.Window.set_titlebar(). the transient parent for this window, or None if no transient parent has been set. Fetches the transient parent for this window. See Gtk.Window.set_transient_for(). the type hint for self . Gets the type hint for this window. See Gtk.Window.set_type_hint(). Gets the type of the window. See Gtk.WindowType. True if self has an explicit window group. Returns whether self has an explicit window group. Returns whether the input focus is within this Gtk.Window. For real toplevel windows, this is identical to Gtk.Window.is_active(), but for embedded windows, like Gtk.Plug, the results will differ. Asks to iconify (i.e. minimize) the specified self . Note that you shouldn’t assume the window is definitely iconified afterward, because other entities (e.g. the user or window manager) could deiconify it again, or there may not be a window manager in which case iconification isn’t possible, etc. But normally the window will end up iconified. Just don’t write code that crashes if not. Retrieves the current maximized state of self . Note that since maximization is ultimately handled by the window manager and happens asynchronously to an application request, you shouldn’t assume the return value of this function changing immediately (or at all), as an effect of calling Gtk.Window.maximize() or Gtk.Window.unmaximize(). Asks to maximize self , so that it becomes full-screen. Note that you shouldn’t assume the window is definitely maximized afterward, because other entities (e.g. the user or window manager) could unmaximize it again, and not all window managers support maximization. But normally the window will end up maximized. Just don’t write code that crashes if not. You can track maximization via the “window-state-event” signal on Gtk.Widget, or by listening to notifications on the Gtk.Window :is-maximized property. Asks the window manager to move self to the given position. Window managers are free to ignore this; most window managers ignore requests for initial window positions (instead using a user-defined placement algorithm) and honor requests after the window has already been shown. By default the gravity is Gdk.Gravity.NORTH_WEST, so the reference point is simply the x , y supplied to Gtk.Window.move(). The top-left corner of the window decorations (aka window frame or border) will be placed at x , y . Therefore, to position a window at the top left of the screen, you want to use the default gravity (which is Gdk.Gravity.NORTH_WEST) and move the window to 0,0. To position a window at the bottom right corner of the screen, you would set Gdk.Gravity.SOUTH_EAST, which means that the reference point is at x + the window width and y + the window height, and the bottom-right corner of the window border will be placed at that reference point. So, to place a window in the bottom right corner you would first set gravity to south east, then write: gtk_window_move (window, gdk_screen_width () - window_width, gdk_screen_height () - window_height) (note that this example does not take multi-head scenarios into account). The Gtk.Window.get_position() documentation may also be relevant. Parses a standard X Window System geometry string - see the manual page for X (type “man X”) for details on this. Gtk.Window.parse_geometry() does work on all GTK+ ports including Win32 but is primarily intended for an X environment. If either a size or a position can be extracted from the geometry string, Gtk.Window.parse_geometry() returns True and calls Gtk.Window.set_default_size() and/or Gtk.Window.move() to resize/move the window. If Gtk.Window.parse_geometry() returns True, it will also set the Gdk.WindowHints.USER_POS and/or Gdk.WindowHints.USER_SIZE hints indicating to the window manager that the size/position of the window was user-specified. This causes most window managers to honor the geometry. Note that for Gtk.Window.parse_geometry() to work as expected, it has to be called when the window has its “final” size, i.e. after calling Gtk.Widget.show_all() on the contents and Gtk.Window.set_geometry_hints() on the window. Deprecated since version 3.20: Geometry handling in GTK is deprecated. If self is hidden, this function calls Gtk.Widget.show() as well. This function should be used when the user tries to open a window that’s already open. Say for example the preferences dialog is currently open, and the user chooses Preferences from the menu a second time; use Gtk.Window.present() to move the already-open dialog where the user can see it. If you are calling this function in response to a user interaction, it is preferable to use Gtk.Window.present_with_time(). Presents a window to the user in response to a user interaction. If you need to present a window without a timestamp, use Gtk.Window.present(). See Gtk.Window.present() for details. Reverses the effects of Gtk.Window.add_accel_group(). Hides self , then reshows it, resetting the default size and position of the window. Used by GUI builders only. Deprecated since version 3.10: GUI builders can call Gtk.Widget.hide(), Gtk.Widget.unrealize() and then Gtk.Widget.show() on window themselves, if they still need this functionality. Resizes the window as if the user had done so, obeying geometry constraints. The default geometry constraint is that windows may not be smaller than their size request; to override this constraint, call Gtk.Widget.set_size_request() to set the window’s request to a smaller value. If Gtk.Window.resize() is called before showing a window for the first time, it overrides any default size set with Gtk.Window.set_default_size(). When using client side decorations, GTK+ will do its best to adjust the given size so that the resulting window size matches the requested size without the title bar, borders and shadows added for the client side decorations, but there is no guarantee that the result will be totally accurate because these widgets added for client side decorations depend on the theme and may not be realized or visible at the time Gtk.Window.resize() is issued. If the Gtk.Window has a titlebar widget (see Gtk.Window.set_titlebar()), then typically, Gtk.Window.resize() will compensate for the height of the titlebar widget only if the height is known when the resulting Gtk.Window configuration is issued. For example, if new widgets are added after the Gtk.Window configuration and cause the titlebar widget to grow in height, this will result in a window content smaller that specified by Gtk.Window.resize() and not a larger window. Like Gtk.Window.resize(), but width and height are interpreted in terms of the base size and increment set with Gtk.Window.set_geometry_hints. Deprecated since version 3.20: This function does nothing. Use Gtk.Window.resize() and compute the geometry yourself. Sets or unsets the Gtk.Application associated with the window. The application will be kept alive for at least as long as it has any windows associated with it (see Gio.Application.hold() for a way to keep it alive without windows). Normally, the connection between the application and the window will remain until the window is destroyed, but you can explicitly remove it by setting the application to None. This is equivalent to calling Gtk.Application.remove_window() and/or Gtk.Application.add_window() on the old/new applications as relevant. Marks self as attached to attach_widget . This creates a logical binding between the window and the widget it belongs to, which is used by GTK+ to propagate information such as styling or accessibility to self as if it was a children of attach_widget . Examples of places where specifying this relation is useful are for instance a Gtk.Menu created by a Gtk.ComboBox, a completion popup window created by Gtk.Entry or a typeahead search entry created by Gtk.TreeView. Note that this function should not be confused with Gtk.Window.set_transient_for(), which specifies a window manager relation between two toplevels instead. Passing None for attach_widget detaches the window. By default, windows are decorated with a title bar, resize controls, etc. Some window managers allow GTK+ to disable these decorations, creating a borderless window. If you set the decorated property to False using this function, GTK+ will do its best to convince the window manager not to decorate the window. Depending on the system, this function may not have any effect when called on a window that is already visible, so you should call it before calling Gtk.Widget.show(). The default widget is the widget that’s activated when the user presses Enter in a dialog (for example). 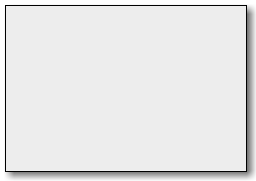 This function sets or unsets the default widget for a Gtk.Window. When setting (rather than unsetting) the default widget it’s generally easier to call Gtk.Widget.grab_default() on the widget. Before making a widget the default widget, you must call Gtk.Widget.set_can_default() on the widget you’d like to make the default. Like Gtk.Window.set_default_size(), but width and height are interpreted in terms of the base size and increment set with Gtk.Window.set_geometry_hints. Deprecated since version 3.20: This function does nothing. If you want to set a default size, use Gtk.Window.set_default_size() instead. Sets the default size of a window. If the window’s “natural” size (its size request) is larger than the default, the default will be ignored. More generally, if the default size does not obey the geometry hints for the window (Gtk.Window.set_geometry_hints() can be used to set these explicitly), the default size will be clamped to the nearest permitted size. Unlike Gtk.Widget.set_size_request(), which sets a size request for a widget and thus would keep users from shrinking the window, this function only sets the initial size, just as if the user had resized the window themselves. Users can still shrink the window again as they normally would. Setting a default size of -1 means to use the “natural” default size (the size request of the window). For more control over a window’s initial size and how resizing works, investigate Gtk.Window.set_geometry_hints(). For some uses, Gtk.Window.resize() is a more appropriate function. Gtk.Window.resize() changes the current size of the window, rather than the size to be used on initial display. Gtk.Window.resize() always affects the window itself, not the geometry widget. If you use this function to reestablish a previously saved window size, note that the appropriate size to save is the one returned by Gtk.Window.get_size(). Using the window allocation directly will not work in all circumstances and can lead to growing or shrinking windows. By default, windows have a close button in the window frame. Some window managers allow GTK+ to disable this button. If you set the deletable property to False using this function, GTK+ will do its best to convince the window manager not to show a close button. Depending on the system, this function may not have any effect when called on a window that is already visible, so you should call it before calling Gtk.Widget.show(). If setting is True, then destroying the transient parent of self will also destroy self itself. This is useful for dialogs that shouldn’t persist beyond the lifetime of the main window they’re associated with, for example. focus (Gtk.Widget or None) – widget to be the new focus widget, or None to unset any focus widget for the toplevel window. If focus is not the current focus widget, and is focusable, sets it as the focus widget for the window. If focus is None, unsets the focus widget for this window. To set the focus to a particular widget in the toplevel, it is usually more convenient to use Gtk.Widget.grab_focus() instead of this function. Sets the Gtk.Window :focus-visible property. geometry_widget (Gtk.Widget or None) – widget the geometry hints used to be applied to or None. Since 3.20 this argument is ignored and GTK behaves as if None was set. This function sets up hints about how a window can be resized by the user. You can set a minimum and maximum size; allowed resize increments (e.g. for xterm, you can only resize by the size of a character); aspect ratios; and more. See the Gdk.Geometry struct. Window gravity defines the meaning of coordinates passed to Gtk.Window.move(). See Gtk.Window.move() and Gdk.Gravity for more details. Sets whether self has a corner resize grip. Note that the resize grip is only shown if the window is actually resizable and not maximized. Use Gtk.Window.resize_grip_is_visible() to find out if the resize grip is currently shown. Tells GTK+ whether to drop its extra reference to the window when Gtk.Widget.destroy() is called. If setting is True, then self will request that it’s titlebar should be hidden when maximized. This is useful for windows that don’t convey any information other than the application name in the titlebar, to put the available screen space to better use. If the underlying window system does not support the request, the setting will not have any effect. Note that custom titlebars set with Gtk.Window.set_titlebar() are not affected by this. The application is in full control of their content and visibility anyway. Sets up the icon representing a Gtk.Window. This icon is used when the window is minimized (also known as iconified). Some window managers or desktop environments may also place it in the window frame, or display it in other contexts. On others, the icon is not used at all, so your mileage may vary. If you have your icon hand-drawn in multiple sizes, use Gtk.Window.set_icon_list(). Then the best size will be used. This function is equivalent to calling Gtk.Window.set_icon_list() with a 1-element list. See also Gtk.Window.set_default_icon_list() to set the icon for all windows in your application in one go. Sets the icon for self . Warns on failure if err is None. This function is equivalent to calling Gtk.Window.set_icon() with a pixbuf created by loading the image from filename . Sets up the icon representing a Gtk.Window. The icon is used when the window is minimized (also known as iconified). Some window managers or desktop environments may also place it in the window frame, or display it in other contexts. On others, the icon is not used at all, so your mileage may vary. Gtk.Window.set_icon_list() allows you to pass in the same icon in several hand-drawn sizes. The list should contain the natural sizes your icon is available in; that is, don’t scale the image before passing it to GTK+. Scaling is postponed until the last minute, when the desired final size is known, to allow best quality. Note that transient windows (those who have been set transient for another window using Gtk.Window.set_transient_for()) will inherit their icon from their transient parent. So there’s no need to explicitly set the icon on transient windows. Sets the icon for the window from a named themed icon. See the docs for Gtk.IconTheme for more details. On some platforms, the window icon is not used at all. Asks to keep self above, so that it stays on top. Note that you shouldn’t assume the window is definitely above afterward, because other entities (e.g. the user or window manager) could not keep it above, and not all window managers support keeping windows above. But normally the window will end kept above. Just don’t write code that crashes if not. You can track the above state via the “window-state-event” signal on Gtk.Widget. Asks to keep self below, so that it stays in bottom. Note that you shouldn’t assume the window is definitely below afterward, because other entities (e.g. the user or window manager) could not keep it below, and not all window managers support putting windows below. But normally the window will be kept below. Just don’t write code that crashes if not. You can track the below state via the “window-state-event” signal on Gtk.Widget. modifier (Gdk.ModifierType) – the modifier mask used to activate mnemonics on this window. Sets the Gtk.Window :mnemonics-visible property. Sets a window modal or non-modal. Modal windows prevent interaction with other windows in the same application. To keep modal dialogs on top of main application windows, use Gtk.Window.set_transient_for() to make the dialog transient for the parent; most window managers will then disallow lowering the dialog below the parent. Request the windowing system to make self partially transparent, with opacity 0 being fully transparent and 1 fully opaque. (Values of the opacity parameter are clamped to the [0,1] range.) On X11 this has any effect only on X screens with a compositing manager running. See Gtk.Widget.is_composited(). On Windows it should work always. Deprecated since version 3.8: Use Gtk.Widget.set_opacity instead. position (Gtk.WindowPosition) – a position constraint. Sets a position constraint for this window. If the old or new constraint is Gtk.WindowPosition.CENTER_ALWAYS, this will also cause the window to be repositioned to satisfy the new constraint. In combination with the window title, the window role allows a window manager to identify “the same” window when an application is restarted. So for example you might set the “toolbox” role on your app’s toolbox window, so that when the user restarts their session, the window manager can put the toolbox back in the same place. screen (Gdk.Screen) – a Gdk.Screen. Sets the Gdk.Screen where the self is displayed; if the window is already mapped, it will be unmapped, and then remapped on the new screen. Startup notification identifiers are used by desktop environment to track application startup, to provide user feedback and other features. This function changes the corresponding property on the underlying Gdk.Window. Normally, startup identifier is managed automatically and you should only use this function in special cases like transferring focus from other processes. You should use this function before calling Gtk.Window.present() or any equivalent function generating a window map event. Sets the title of the Gtk.Window. The title of a window will be displayed in its title bar; on the X Window System, the title bar is rendered by the window manager, so exactly how the title appears to users may vary according to a user’s exact configuration. The title should help a user distinguish this window from other windows they may have open. A good title might include the application name and current document filename, for example. Sets a custom titlebar for self . A typical widget used here is Gtk.HeaderBar, as it provides various features expected of a titlebar while allowing the addition of child widgets to it. If you set a custom titlebar, GTK+ will do its best to convince the window manager not to put its own titlebar on the window. Depending on the system, this function may not work for a window that is already visible, so you set the titlebar before calling Gtk.Widget.show(). Dialog windows should be set transient for the main application window they were spawned from. This allows window managers to e.g. keep the dialog on top of the main window, or center the dialog over the main window. gtk_dialog_new_with_buttons() and other convenience functions in GTK+ will sometimes call Gtk.Window.set_transient_for() on your behalf. Passing None for parent unsets the current transient window. On Wayland, this function can also be used to attach a new Gtk.WindowType.POPUP to a Gtk.WindowType.TOPLEVEL parent already mapped on screen so that the Gtk.WindowType.POPUP will be created as a subsurface-based window Gdk.WindowType.SUBSURFACE which can be positioned at will relatively to the Gtk.WindowType.TOPLEVEL surface. gtk_dialog_new_with_buttons() and other convenience functions in GTK+ will sometimes call Gtk.Window.set_type_hint() on your behalf. Don’t use this function. It sets the X Window System “class” and “name” hints for a window. According to the ICCCM, you should always set these to the same value for all windows in an application, and GTK+ sets them to that value by default, so calling this function is sort of pointless. However, you may want to call Gtk.Window.set_role() on each window in your application, for the benefit of the session manager. Setting the role allows the window manager to restore window positions when loading a saved session. Asks to stick self , which means that it will appear on all user desktops. Note that you shouldn’t assume the window is definitely stuck afterward, because other entities (e.g. the user or window manager could unstick it again, and some window managers do not support sticking windows. But normally the window will end up stuck. Just don’t write code that crashes if not. You can track stickiness via the “window-state-event” signal on Gtk.Widget. Asks to toggle off the fullscreen state for self . Note that you shouldn’t assume the window is definitely not full screen afterward, because other entities (e.g. the user or window manager) could fullscreen it again, and not all window managers honor requests to unfullscreen windows. But normally the window will end up restored to its normal state. Just don’t write code that crashes if not. Asks to unmaximize self . Note that you shouldn’t assume the window is definitely unmaximized afterward, because other entities (e.g. the user or window manager) could maximize it again, and not all window managers honor requests to unmaximize. But normally the window will end up unmaximized. Just don’t write code that crashes if not. You can track maximization via the “window-state-event” signal on Gtk.Widget. Asks to unstick self , which means that it will appear on only one of the user’s desktops. Note that you shouldn’t assume the window is definitely unstuck afterward, because other entities (e.g. the user or window manager) could stick it again. But normally the window will end up stuck. Just don’t write code that crashes if not. The Gtk.Application associated with the window. Normally, the connection between the application and the window will remain until the window is destroyed, but you can explicitly remove it by setting the :application property to None. The widget to which this window is attached. See Gtk.Window.set_attached_to(). Whether ‘focus rectangles’ are currently visible in this window. The window gravity of the window. See Gtk.Window.move() and Gdk.Gravity for more details about window gravity. Note that the resize grip is only shown if the window is actually resizable and not maximized. Use Gtk.Window :resize-grip-visible to find out if the resize grip is currently shown. The :icon-name property specifies the name of the themed icon to use as the window icon. See Gtk.IconTheme for more details. The :startup-id is a write-only property for setting window’s startup notification identifier. See Gtk.Window.set_startup_id() for more details. The transient parent of the window. See Gtk.Window.set_transient_for() for more details about transient windows. True if the window should be brought to the user’s attention.